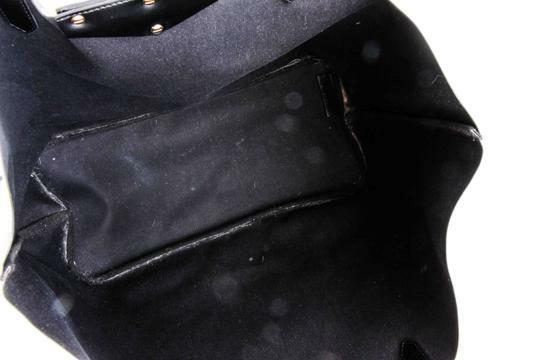 This item shows light signs of visible wear and(shows scuffs/scratches on hardware, creasing in body of bag and handles, light scuff/scratches in some areas of exterior, interior is somewhat dirty in edges/corners, overall this tote is in good/used like condition). 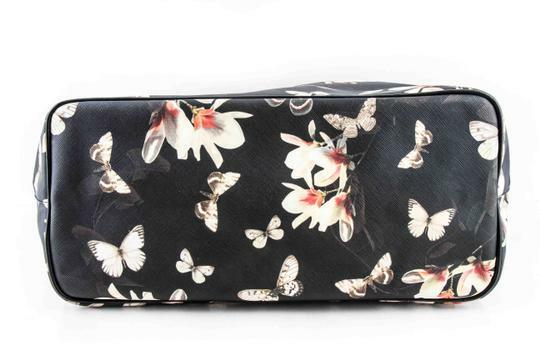 MISSING interior pouch. 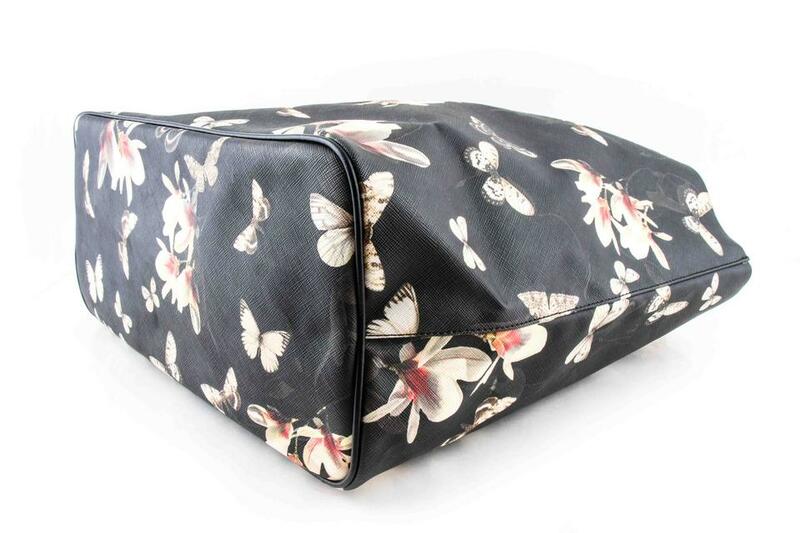 Please see attached photos to accurately assess the physical condition of this item. 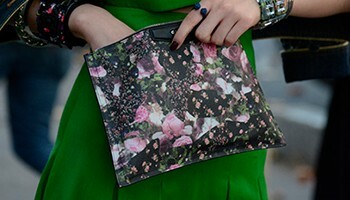 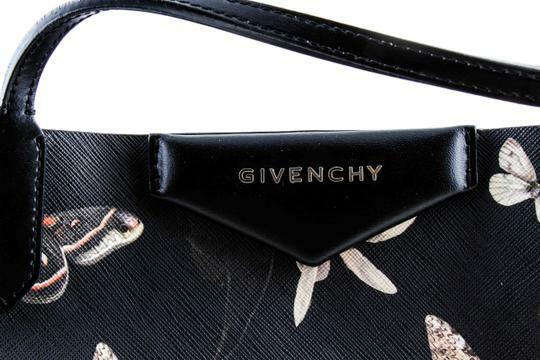 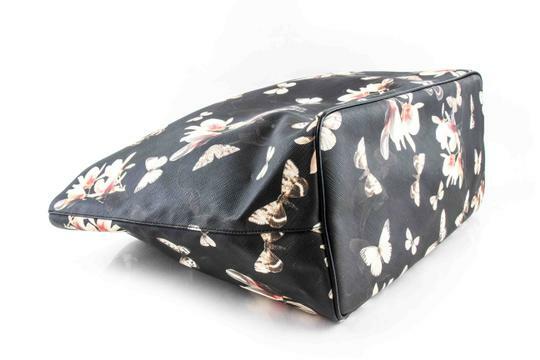 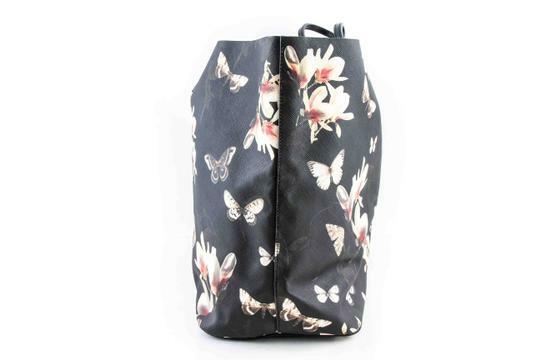 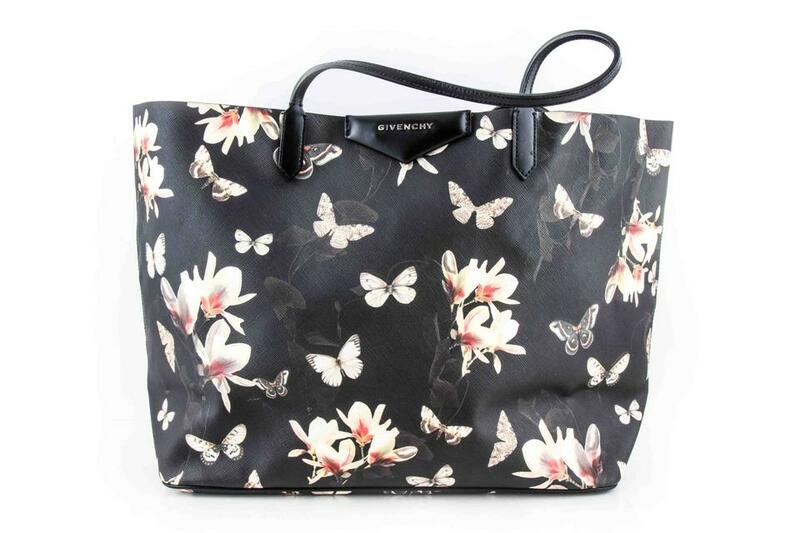 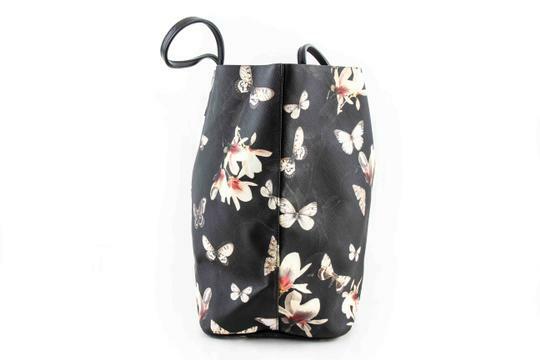 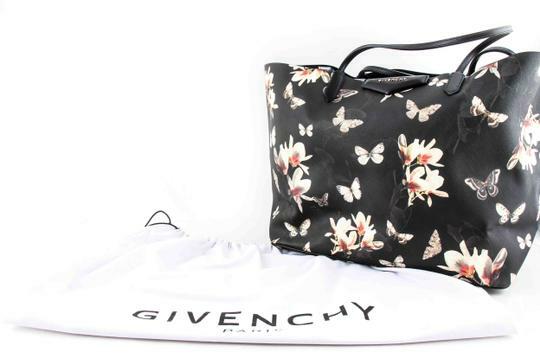 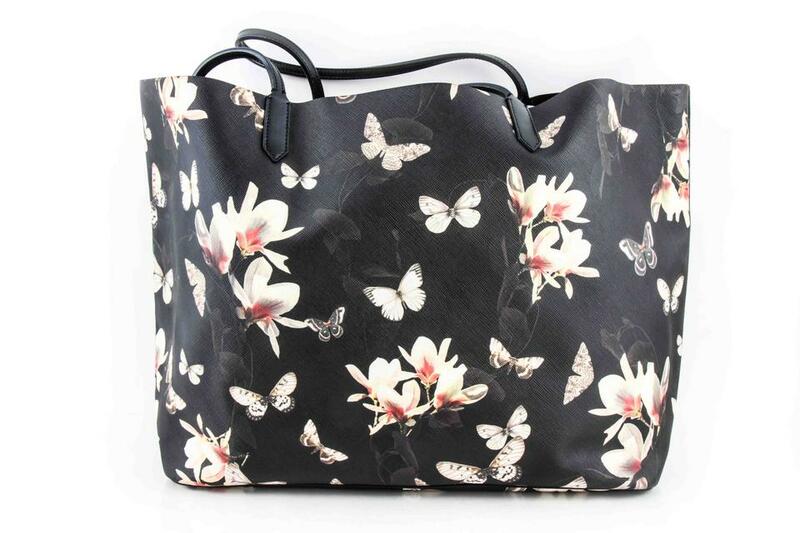 Givenchy magnolia-print coated canvas tote bag. 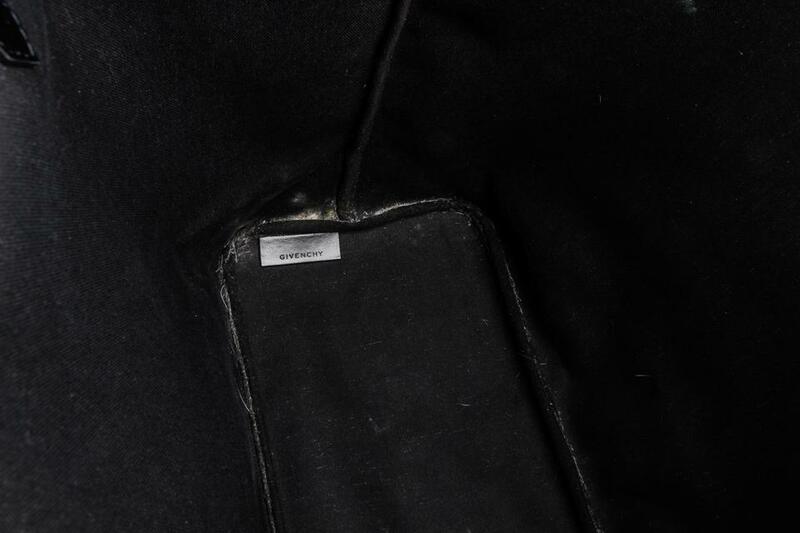 Open top creates easy access to interior. 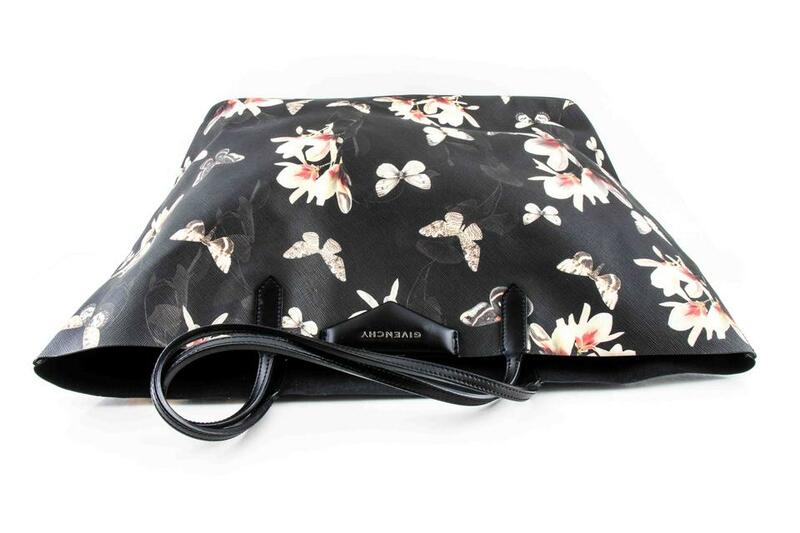 MISSING Unlined; leashed zip pouch inside.